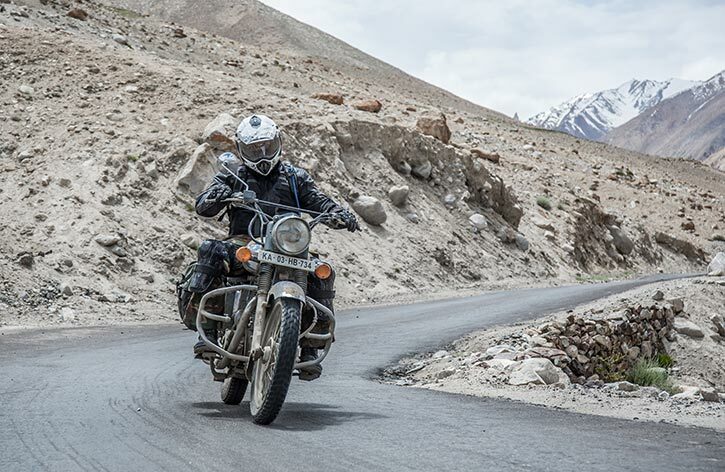 The 13th edition of the Royal Enfield Himalayan Odyssey will be held this year from July 09-23 and will be flagged off from New Delhi. The 17 day motorcycle ride will traverse through some of the roughest terrains and highest mountain passes covering a distance of more than 2500 kms. Interested Royal Enfield owners can participate in the Himalayan Odyssey by registering themselves on May 02, 2016 (Today). The registrations will be open for 50 participants. The Himalayas have been the mecca for motorcyclists since time immemorial, and the Royal Enfield Himalayan Odyssey has been their chosen journey to ride through the mighty mountains. 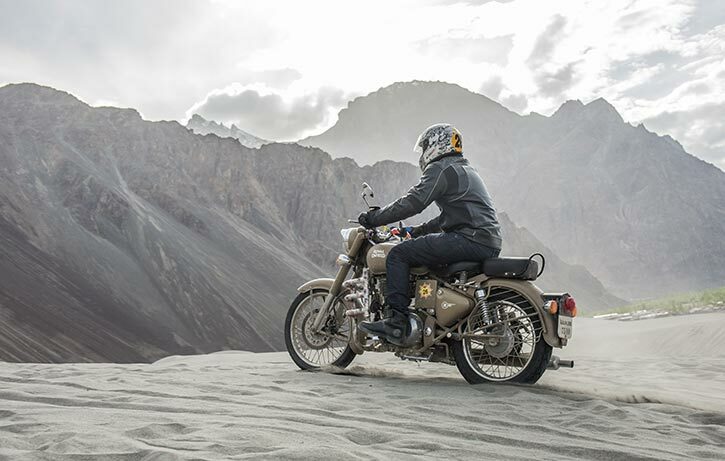 Every year Royal Enfield riders from across the world gather to thump all the way to 18,000 ft to Khardung-La to experience one of the most gratifying motorcycling journeys in the world. Along with the Himalayan Odyssey that will see 50 participants, Royal Enfield is organising women’s only Himalayan Odyssey powered by STRE (She Travels on a Royal Enfield). STRE is a community of women motorcyclists who ride a Royal Enfield across the globe. In its maiden edition, Himalayan Odyssey – Women (HO-W) is opening registrations for upto 20 women participants who will ride on the ‘holy grail’ of motorcycling. Apart from the participants, the entire HO-W contingent will comprise of women i.e. service staff, technicians, doctors and crew will all be women. Both contingents will be flagged off from Delhi together and they will ride on different routes before finally converging at Leh. The annual ride is an opportunity for these men and women who seek to look beyond the obvious and venture into the unchartered territories of one of the most challenging terrains in the world. 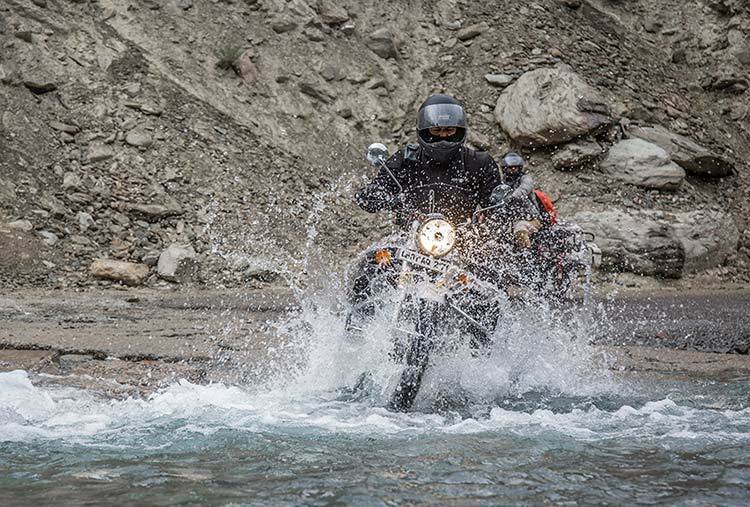 A journey of self-discovery for many, the Himalayan Odyssey has been inspiring stories that become a part of motorcycling folklore. The period between the months of May and August is the ideal time when hundreds of Royal Enfield motorcyclists ride up to the Himalayas. This year will see the riders travel over 2,500 kilometers mapping diverse terrains ranging from plains of Delhi to snow clad valleys of Ladakh, all over the grueling 17 days course. The weather would shift remarkably, from scorching hot to icy cold as riders will make their way to the picturesque regions of the Himalayas, which house within themselves one of the most hostile environments for motorcycling including Narkanda, Sarchu, Jispa and Leh, all the way to Khardung-La, one of the world’s highest motorable roads. Each turn exposes the riders to a new landscape like no other, eventually getting them surrounded by the overwhelming beauty of the great Himalayan peaks. At a time when our lives have come to be defined by our professional selves, Himalayan Odyssey appeals to the free spirited traveler in oneself and quintessential seeker of life beyond concrete jungles. A journey that began in 2003, the ride emphasizes on harmony with the terrain while at the same time encouraging one to overcome their personal barriers and realize the potential that lies within them. Over the past decade, scores of riders have had the pleasure of riding their motorcycles through the picturesque landscape of Ladakh to Leh and then beyond to Khardung La. Are you registering for #Ho2016? Let us know by commenting below.